Most railfans and historians recall the Virginian (VGN) as one of the major Appalachian coal haulers. 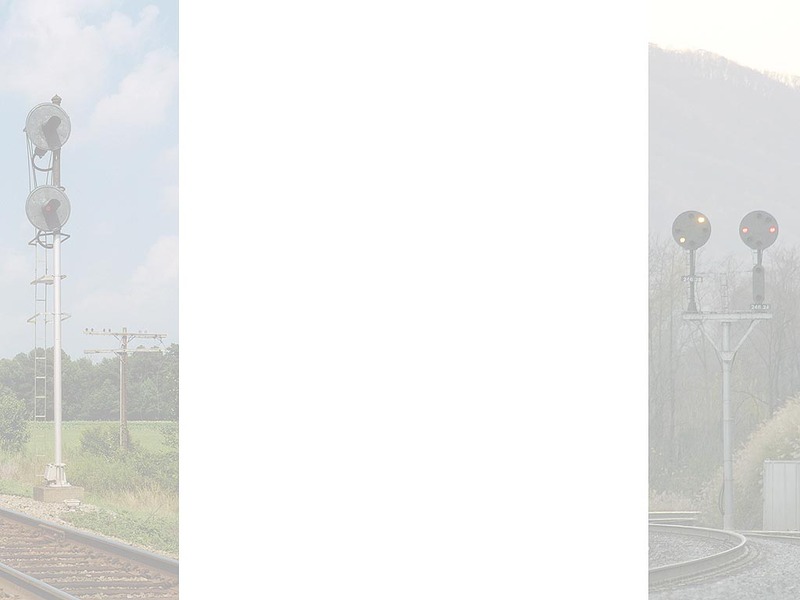 Two of my favorite segments of this railroad are the Sewells Point and Jarratt Districts of the old Norfolk Division. As a result of the 1959 takeover by the Norfolk & Western (N&W), the Jarratt District quickly became a redundant, parallel route with little business along the way. In time the line from Algren to Abilene was abandoned and the track removed with some of the rail not being dismantled until the early 1990's. 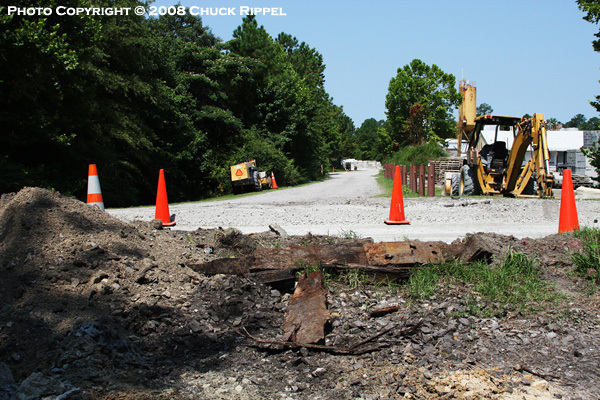 Between 2002 and 2008 I was able to document various segments of the remaining trackage and right-of-way that once comprised the Sewells Point and Jarratt Districts. Appreciation is also extended to the other like-minded railfans and history buffs who have contributed photos to this page. If you have images that you'd like to contribute, please e-mail me. 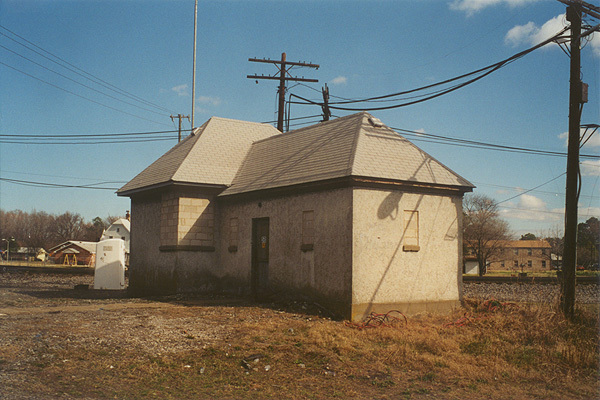 Sewell's Point was the eastern terminus of the Virginian Railway and named after Henry Sewell. 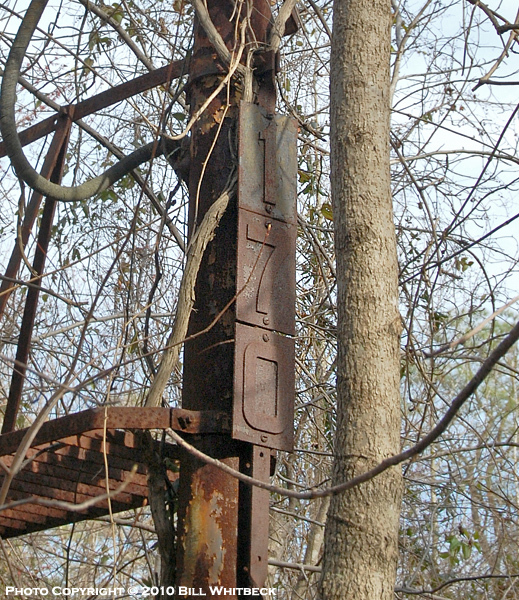 There were two coal piers used to load the colliers. On the left is Coal Pier No. 1 that was built in 1909 and completed for a cost of $2.5 million. On the right is Coal Pierce No. 2, completed in 1925 and later upgraded in late 1950's. Both served the VGN faithfully until it's 1959 merger with the N&W at which time coal loading operations were transferred to the N&W's Lambert's Point facility. 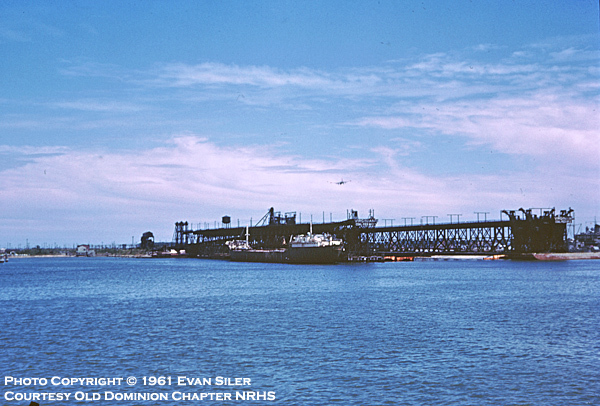 The piers physically survived until 1966 when they were sold to the U.S. Navy. Naval Station Norfolk currently occupies all of the land that once comprised the piers, ground storage facility, engine terminal and yard at Sewell's Point. 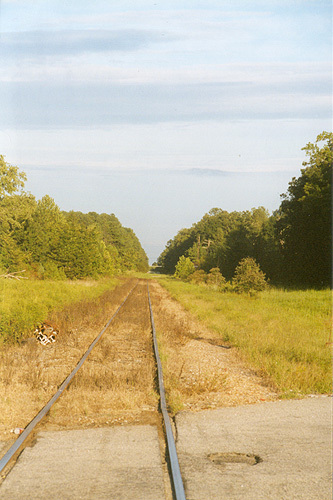 This view is looking railroad east from Granby Street in Norfolk towards Sewell's Point. 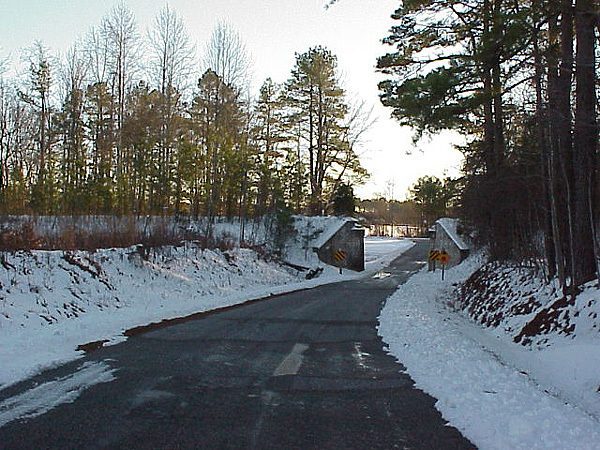 Underneath the I-564 bridge in the distance is Quartermaster Junction. 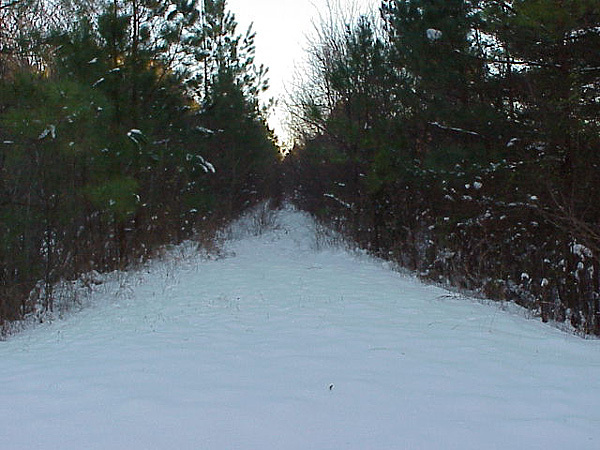 Here the track branches off and continues compass west one mile to the Norfolk International Terminals. 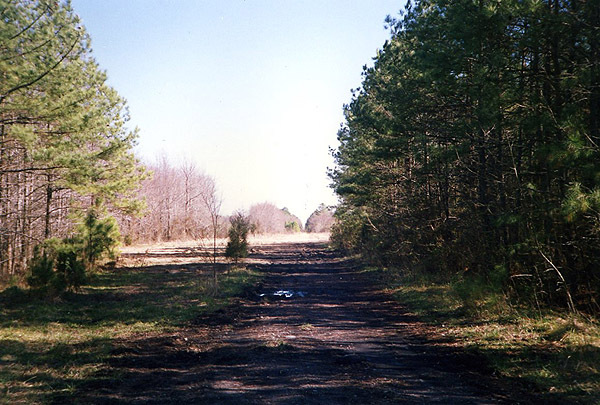 To continue straight will take you on to West Junction and right onto the property of Naval Station Norfolk where the Sewell's Point facility was located. It was abandoned in the early 1970's when the US Navy wanted to expand the runways on the airfield. Sewell's Point was also becoming more of a storage yard as most activity occurred at nearby Lambert's Point. I doubt if I will ever attempt any photos on base due to post 9/11 security issues. 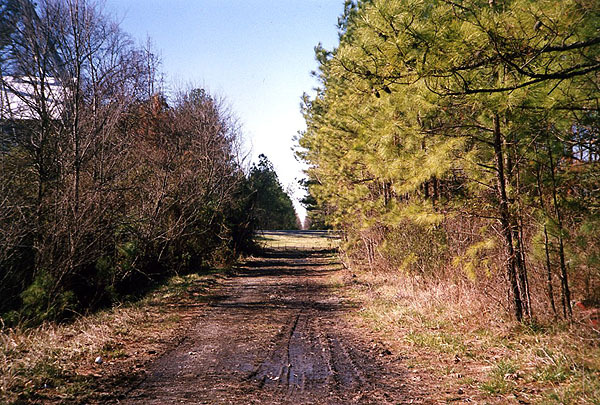 This line was double-tracked during the Virginian era from Sewell's Point to Carolina Junction. 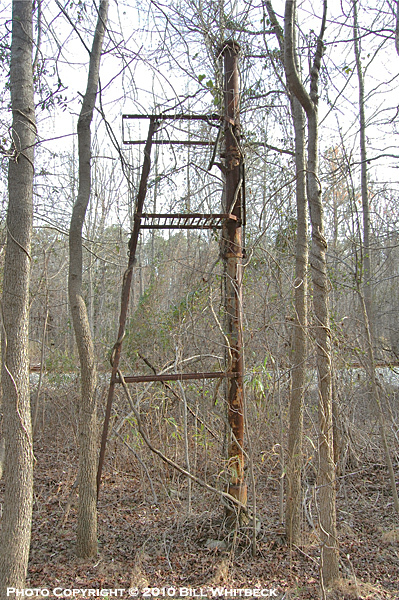 This "tower" is of typical Virginian architecture and materials. 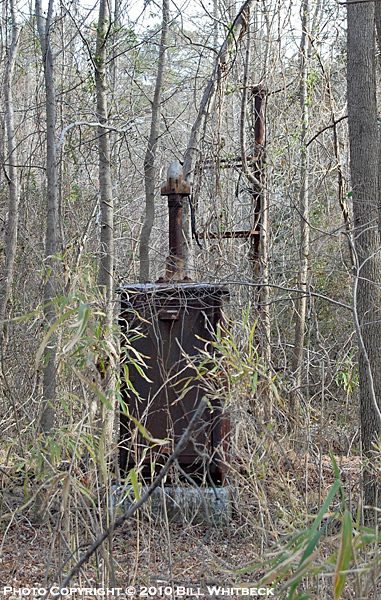 It once guarded the diamond at Coleman Place where the Norfolk Southern Railway crossed the Virginian in Norfolk. The Norfolk Southern Railway and the Virginian crossed at grade again at Carolina Junction in the City of Chesapeake. The diamond has long been removed and connection tracks now allow movements through the immediate area. One of the major diamonds in the Tidewater area was at South Norfolk. 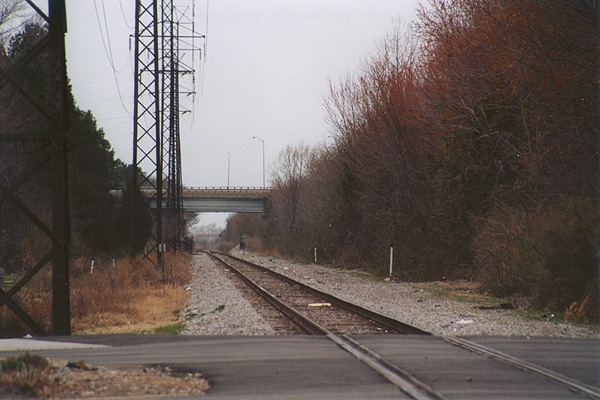 Here the Virginian crossed over the N&W's mainline leading to Lambert's Point. During the Virginian era, this was a busy location with the two rival companies shuttling coal to the awaiting Colliers in Hampton Roads. 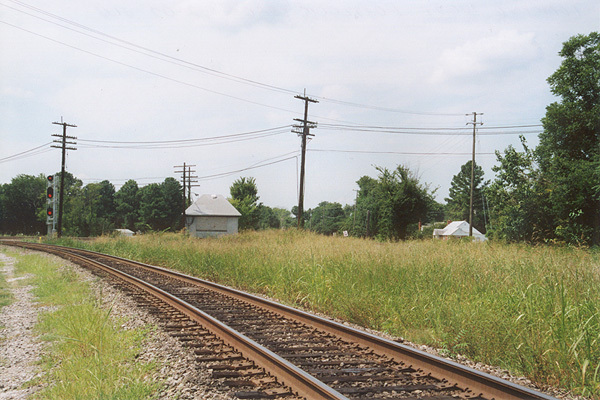 The Virginian mainline ran along the right edge of the photo between the two poles in the right side of the photo. 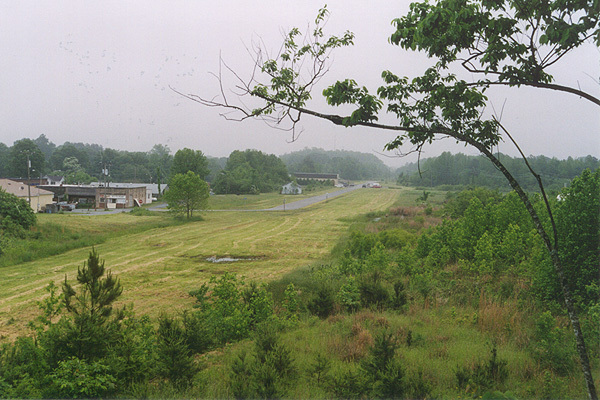 The track in the foreground is the connection track to the N&W's Portlock Yard and existed as far back as the steam era. The diamond was eventually removed and two new connection tracks were installed in the northeast and northwest quadrants. The tower at South Norfolk controlled train movements across the diamond with the N&W at the north end of Portlock Yard. The Virginian mainline once ran just to the left of the structure in this photo. Steve Hammer submitted this excellent view looking east at Algren where the Virginian and the SAL crossed at grade. 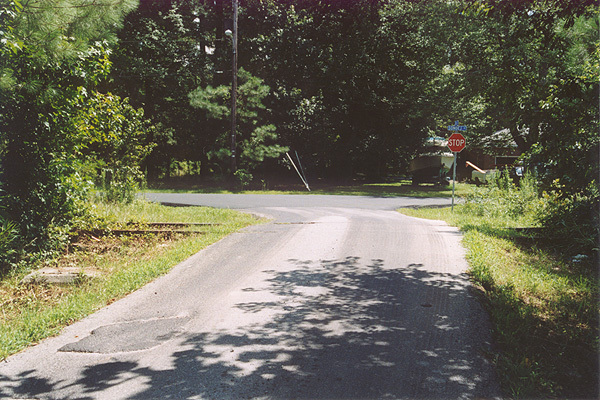 The last remnants of the Virginian track are still visible in this 1992 photograph. 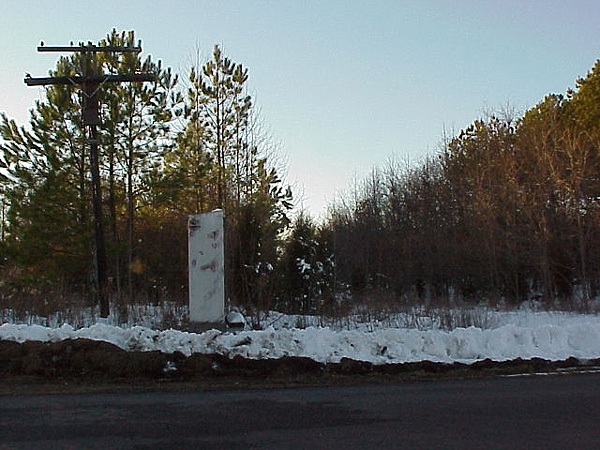 The exact location of the former crossing is about 400' east of where Bisco Street crossed both mainlines. 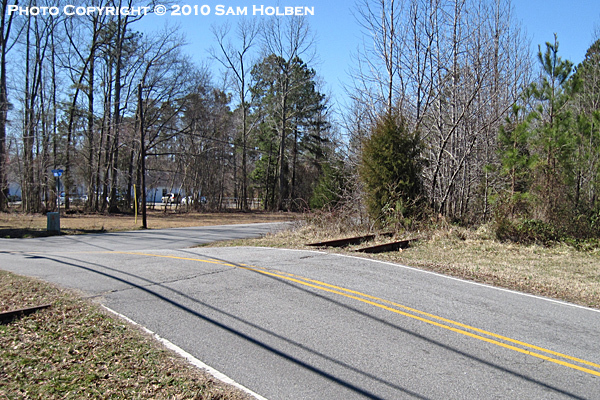 In this 2008 photo we are looking west at Kilby, where the N&W's Norfolk to Roanoke mainline crossed over both the Seaboard Air Line (SAL) and the Virginian. 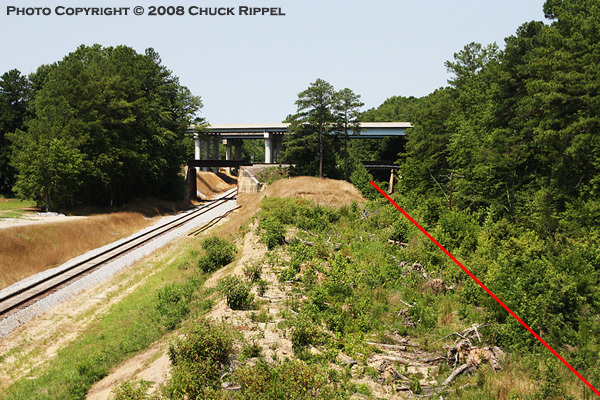 The red line to the right represents where the VGN tracks once laid. 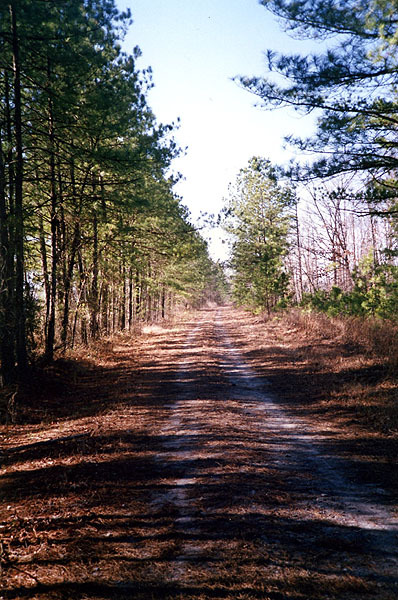 The single track in the left of the photo was the ex-SAL main between Norlina, NC and Portsmouth, VA. 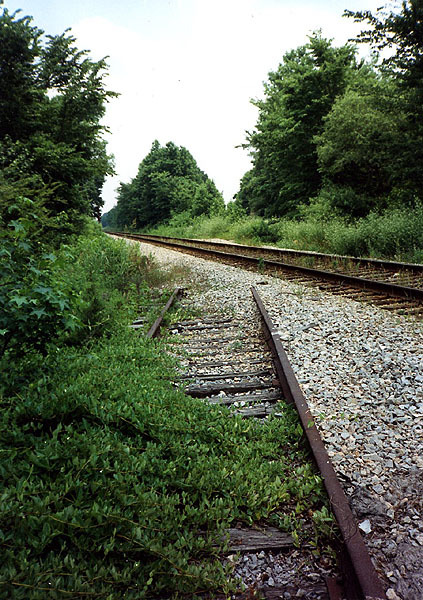 This track is now CSX's Portsmouth Subdivision with the line being abandoned from Garysburg, NC to Norlina. 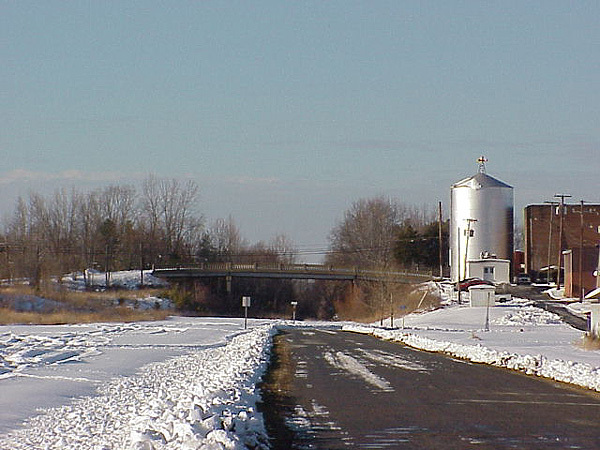 The N&W's bridge is visible in the distance while the large concrete bridge carries US 13/58 around Suffolk on what is called the Northern Bypass. 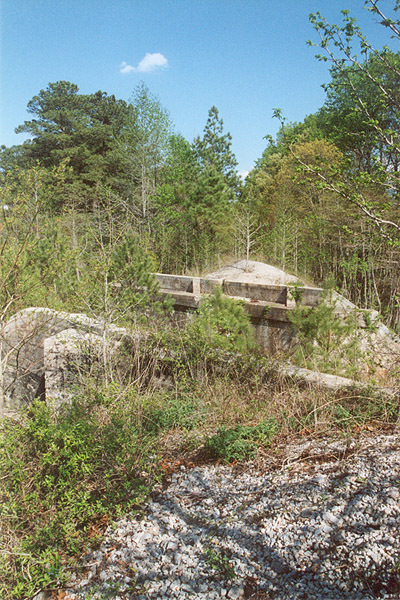 In a view looking towards the east, we see what is left of the Virginian in Jarratt. 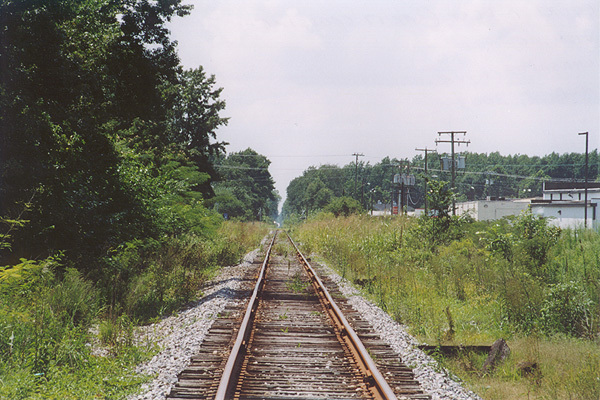 This short stretch of track remains active as it is used by CSX to serve the Georgia Pacific wood chip plant on the west end of town. Just east of this spot there was once a diamond where the Virginian crossed the Atlantic Coast Line's Richmond-Jacksonville double-track main at grade. Today the route is CSX's North End Subdivision and sees on average 30+ trains per day. The rise in the distance is Interstate 95. 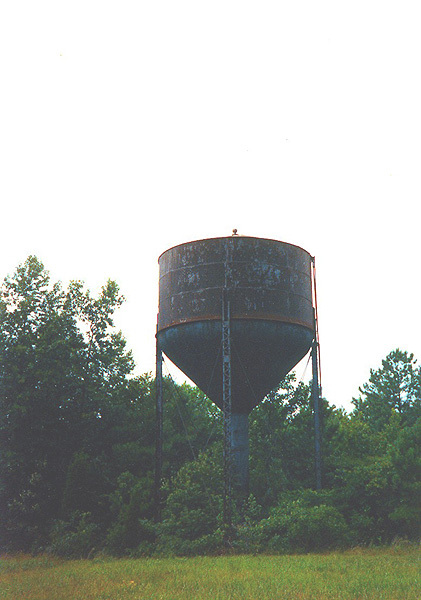 The tower at Jarratt was a modern structure by Virginian standards. It is my understanding that after the structure was built, it was never occupied. Just behind where I'm standing is the CSX mainline. Note the old Virginian pole to the right of the building still sporting three cross arms. Can you only picture this scene in the late 1950's with a pair of Fairbanks-Morse Train Masters waiting to cross the diamond while the ACL's Champion blows past with a purple and silver E unit on the point? 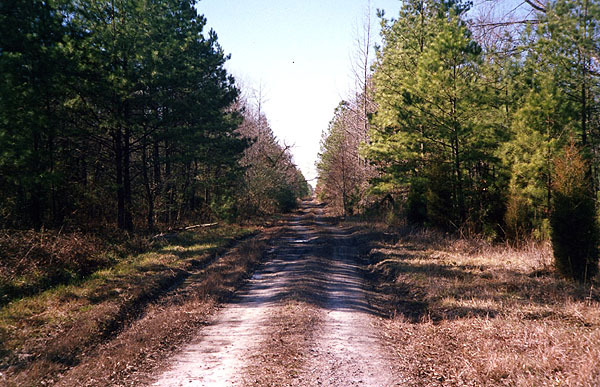 In this unique view, we are once again looking east down the old roadbed. 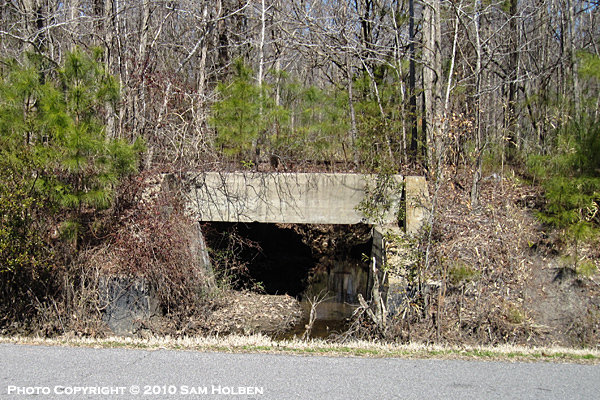 This is where the Virginian crossed over the Seaboard Air Line (SAL) on a bridge. 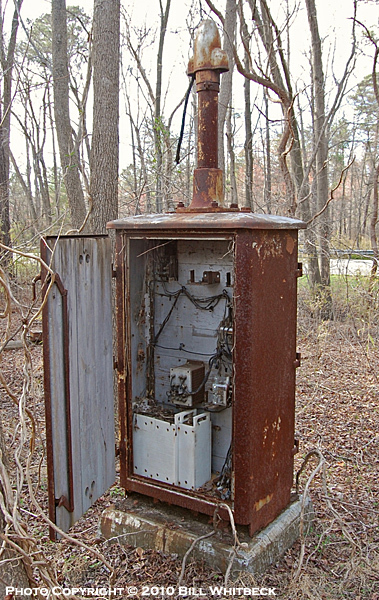 Both lines were abandoned in the mid-1980's. It's hard to believe such high drama took place in a location that looks like this. 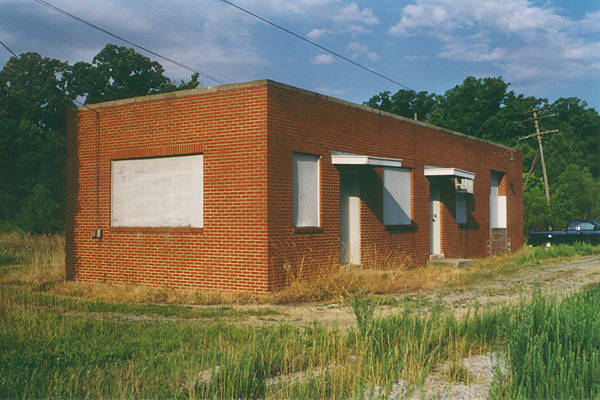 The Virginian and Seaboard Air Line had a joint station located in the northwestern quadrant of the crossing. 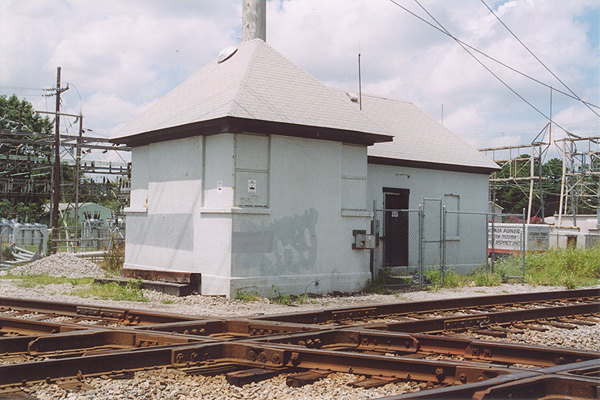 In the early days, there was an elevator to aide passengers in reaching the platform for Virginian trains. 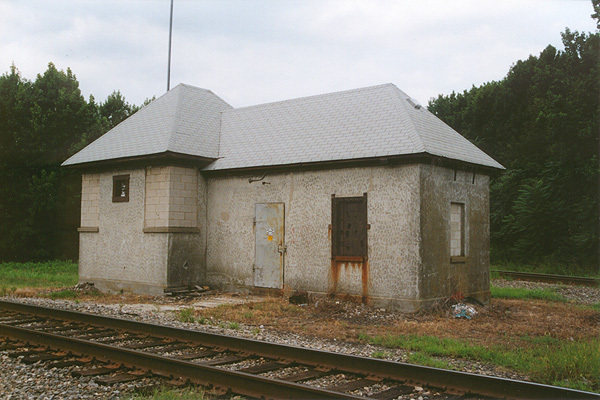 That station was later replaced by a smaller, more humble structure which still stands, albeit buried in a thicket of pine trees. You can learn more about the abandoned Seaboard Air Line through Alberta here. Copyright 2002-2010 | Jeff Hawkins | All Rights Reserved.